While there are some similarities between a residential and a corporate move, for the most part, moving an office or entire business is more involved and complex. For one thing, there are more items to move, but in addition, this type of move often involves sensitive equipment. Especially for corporate moving, two things are critical. First, you need to hire a reputable moving company, and second, you need to plan well in advance. For corporate moving, preparation will make the difference between success and chaos. Depending on the size of the company, you should start planning anywhere from four to six months out. This provides you the necessary time to put a formal plan in place, which includes selecting the right moving company as well as notifying workers, customers, vendors, suppliers, the landlord, utility companies, and so on of your move. This also gives you ample time to designate department helpers. The less time it takes to move and the better organized you are, the more money the company saves. Another tip to make corporate moving more efficient is to get information about the size and configuration of the new space. As a result, you will know ahead of time if existing furniture will fit, whether outside storage is required, and more. It is also important that you keep communication lines open, not only with employees and movers but with all outside contacts. The goal with corporate moving communication is to keep everyone in the loop. That way, there are no misunderstandings about what time the movers will show up and what each person’s role is at the current and new building. As for packing, you can designate one or two people from each department to spearhead efforts. By doing so, employees know exactly who to turn to with questions or problems. The people that you designate will ensure that items are packed correctly and in appropriate boxes. They will also make sure that along with personal items, employees pack things from their desks and filing cabinets. This keeps the moving process orderly and reduces the risk of something being damaged, destroyed, or misplaced. You want to take advantage of corporate moving by tossing out or recycling anything deemed garbage, instead of moving things only to throw them out at the new location. For efficiency and convenience, consider having an industrial-size dumpster available. However, check with the city first to determine if a permit is required.  Contact Rainbow Movers for Help! If you live in the Boston Metropolitan Area, give us a call today for help. Give us a call at 508-528-4111.